Most gutter systems, including galvanized steel and aluminum gutters, have an expected lifespan of 20 years. Copper gutters can last twice that long, with a serviceable life of 50 years or more. They may not be the most expensive investment you make in your home, but good gutters can prevent a number of other, more costly problems from arising. This makes understanding when and how to repair and replace your gutters crucial to protecting your home's value. Gutters typically need replaced about every 20 years but can last longer with proper care. Walk around your house and take a good look at your gutters on a nice day. If your gutters are galvanized steel, check for rust, especially at the bottom of the gutters. Look for problem areas of sagging or splitting gutters, and look for holes. Check for loose fasteners, as well. Peeling paint and washed out landscaping are often signs that the gutters above need some attention. Make sure your downspouts are attached properly and extend at least 10 feet out from the foundation. To determine whether your gutters are truly working properly, you need to watch them on the job, so take another walk around your house when it's raining. Make sure water is flowing smoothly out of the downspouts. Look for places where the water may be leaking out the bottoms of the gutters or overflowing at the top. Check for areas where water is flowing directly from the roof to the ground. If so, consider installing additional gutters. Once you've found problems with your gutters, determine whether or not repair is possible. Minor problems such as loose gutters or missing downspouts are easily tackled by most do-it-yourselfers. You can likely reattach sagging or bent gutters yourself too, but replace them if the gutters have been too damaged for nails or fasteners to hold them adequately. Gutters with holes or splits aren't reparable. Have them replaced by a professional who can do the job without damaging the roof or siding of your home. Rusty areas indicate a future problem, even if the rust has not yet created a hole. Replace rusty gutters as soon as possible. 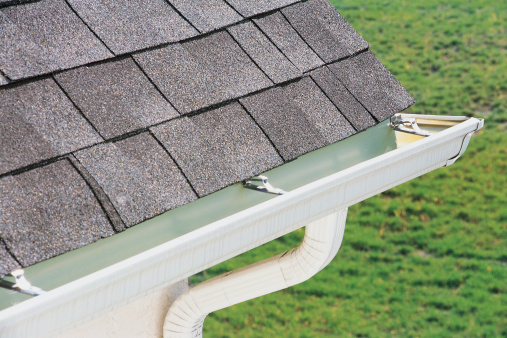 Some companies will replace portions of your gutter system, but others may prefer to do the job only if it involves a complete tear-off and replacement. Once you've repaired or replaced any problem areas, the key to making your gutters last 20-plus years is regular maintenance. Clean them every spring and fall, removing any leaves or branches that could cause them to clog or pull away from the house. Inspect them thoroughly when you do this to make sure they're not pulling away from the roof or missing any bolts. Replace missing hardware promptly. Catching problems when they're small will prevent major issues later.